This post has been written as part of the #EdbookNZ Book Terms organised by Sonya van Schaijik for Connected Educator 2015. I chose the term ‘Flipped learning’. A big thanks to my disruptive friend, Amanda O’Connell for supporting me in this effort. Thanks also to Leigh Hynes who sent me some resources to read through around flipped learning for this project as well as some other work I’ve been doing. Digital technologies have enabled teachers to develop new pedagogical approaches and teaching practices in order to increase student engagement and achievement. One of these new approaches is that of flipped learning or the flipped classroom. Flipped learning or the flipped classroom is a method to teach students. Put simply, the flipped classroom is a “model in which the typical lecture and homework elements of a course are reversed” (EDUCAUSE Learning Initiative, 2012). The idea is that rather than spending in-class time teaching or explaining concepts and ideas, the teaching is delivered through video that students watch during their traditional homework time. Class time is then used to develop the ideas and concepts and apply what has been learnt from the videos. Video sharing sites such as YouTube and Vimeo are already providing plenty of learning opportunities. For example, if you want to learn to play the guitar, you don’t need to necessarily pay for lessons. Instead, you can do a quick search on YouTube and learn through video. Why not use this same method in formal education? Of course, in-class lecture is not the way us Kiwi’s teach in general. Homework time is moving away from worksheets and textbooks with practice material. We also don’t want to see our students sitting in front of those same worksheets or textbooks in class repeating practice exercises, or watching 50-minute videos for homework. We want to see the development of all the key competencies. We want to see, among other things, higher order thinking skills developed, with students collaborating and contributing to solve complex, ‘wicked problems’ (Hipkins, Bolstad, Boyd & McDowall, 2014). 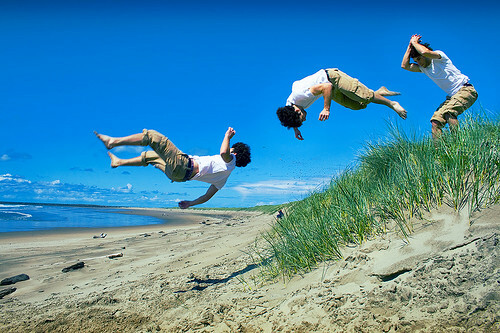 How can we re-think what flipped learning is for us in New Zealand? How can we also ensure that flipping the learning doesn’t simply take away the responsibility from the teacher to teach their class and give students more work to do at home? How can we ensure flipped learning is equitable as some students don’t have internet access or digital devices at home? This means that students watch the direct instruction on their own through videos, and then develop and apply the concepts taught in the classroom group situation. By taking this broad definition we can rethink what flipped learning looks like and ensure that our approach best meets the needs of our students. We can think of flipped learning approaches along a continuum. On one end of the continuum, we have the true flipped classroom model where the teacher records themselves teaching a particular concept or idea and posts it online for the students to learn in their homework time. They then come back to school to demonstrate their understanding through discussion with peers, practice and application. On the other end of the continuum we might have rewatchable learning such as recording your teaching, modelling, explanations as they happen in class, and posting these online allowing students to rewatch and review what they covered in class, or learn what they missed if they were absent. Both of these allow for students to rewatch their learning as often as required. In between these two extremes, we might have students creating flipped lessons by teaching their peers through online video. These can then be used in future years as well, bringing the students into the picture in creating new ways to explain a concept or idea. Of course we can mix it up a little and have different lessons approached in different ways. In order to ensure we’re not just using up students’ homework time (or free time!) when employing such a model, we need to be sure that the videos are succinct and relevant. Teachers love talking. They can talk a lot. Videos of concepts or ideas need to be short, no more than three to five minutes long where possible. Think about your own online video viewing habits. Many of us switch off after less than a minute unless it’s highly engaging (Shout! Communications, 2014). You might also need to record different ways of explaining concepts. Don’t keep reinventing the wheel though. Use what others have created already. Don’t forget that relationships are important too. Your students need to see you or hear your voice, otherwise are YOU really teaching them! Make sure that class time is used carefully to develop deeper understanding of concepts through a variety of ways. Keep considering what will make learning equitable to all and accessible to all. Flipped learning doesn’t have to require students to watch videos at home. What about spending the first minutes in class allowing students to watch? They might need to re-watch them during class time too. What about ensuring devices are available at lunch time or after school for those who don’t have access at home? You could even add subtitles to your videos or include the transcript. Used with other pedagogical approaches, the flipped learning model could help support a move to developing deeper discussions in-class in order to increase understanding. Through the removal of a lot of in-class direct instruction time, students can ask questions, think more deeply, and consider real-life global examples and problems. It is a model that is worth considering as digital technologies become more prevalent in school and the day-to-day life of our students. Hipkins, R., Bolstad, R., Boyd, S., & McDowall, S. (2014). Key competencies for the future. New Zealand Council for Educational Research (NZCER) Press. This post has been published as part of the #EdBlogNZ Connected Educator 2015 challenge. One of the challenges this week is to create a 1-2 minute video about an education topic that you are passionate about and post it on your blog. An area that I’m passionate about and actually researched for my MEd is online student engagement. So I’ve focused this video on student engagement. The challenge is about stretching bloggers and getting them to give it a go… so here is my effort. One of the #EdBlogNZ challenges for week 1 is to write a blog post about your favourite movie/song/piece of art including how it relates to your life as an educator. So I’m going to write about my favourite TV series / movies – Star Trek. I’m a teacher, not a… doctor, nurse, parent (well I might be, but I’ve not actually taught my own children), social worker, … you name it, we’ve probably had to do it as a teacher! We’ve all had to let go of something at some point. That amazing lesson I planned that just didn’t work. That great idea that no one else got or agreed with. Get out there and go for it! Ever had an idea, or come across someone who has done something that sounds amazing? Just get out there and go for it! Make it so! I probably haven’t done this enough as a teacher. It’s about stepping out of my comfort zone and trying something that may work perfectly or might flop. Of course, we’ve always been told to have that back-up plan in case we need it! This seems like an obvious connection to teaching. Engage! Student engagement. But actually, for me this is also about teacher engagement. Not only do we need to encourage student engagement and student ownership of their learning, but we need to own our teaching! We need to be engaged in what we’re doing. If it’s not engaging to us, I can just about guarantee that it’s not engaging to our students. If we’re not engaged in what we’re teaching, then why would our students be engaged in it? This is an area that was quite clear in my MEd research as well! We’ve all got our drink of choice after a long day, or just to get through the day! Mine was Coke (of course I’m currently celebrating 9 months without it so far this year!) Many teachers always have a coffee or cup of tea to drink. Others stick to water. 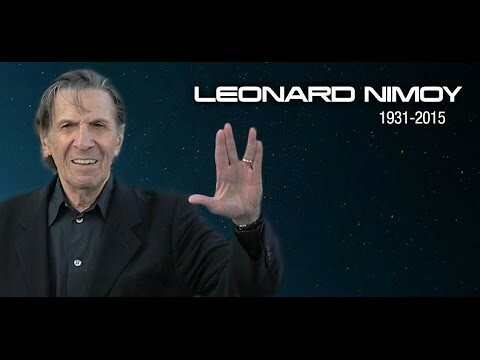 Finally, probably the most well known Star Trek quote, and a tribute to the great Leonard Nimoy. Live long and prosper. As a teacher we need to look after ourselves. Don’t burn ourselves out. Take time out and relax without thinking of your students (if that’s ever possible). It’s so easy to focus on the job always, but it’s not necessarily a wise thing to do. Yes, enjoy your job. Be passionate! Have fun with your students. But… enjoy yourself. Spend quality time with your family. Have some “me” time. I don’t have anything worth sharing! YES YOU DO!!! So often when we’re wanting to blog we have a block. We feel like we don’t have anything worth sharing, or we think that all we’ve done is really obvious. Now what do you think? What’s obvious to you might be amazing to someone else! I remember when I first presented at Ulearn back in 2010. My colleague and I shared some stuff that was based around web tools that we had been using for ages and were kind of assuming that everyone already knew about them. Boy were we wrong! There was so much opportunity for new learning to go on during that workshop! It was exciting! So get writing! Share what you’re doing and don’t worry what others think or do. You never know… What you share might change the life (or perhaps teaching practice) of someone else! Blogging – What’s in it for me? One of the challenges of the 2015 Connected Educator NZ #EdBlogNZ challenge is to write a post about why I blog professionally and what I blog about. Many bloggers blog for hits, comments and an audience. While I do like those things, I blog first and foremost for me. Blogging gives me an opportunity to think about many facets of education, whether it be what’s going on in the news, what I’ve seen/heard at a conference or in a video, or reflecting on my own practice. Blogging helps me to clarify my own thoughts. Sometimes I can think about something for several days before I start writing. Other times I just jump straight in. Blogging for me allows me to think and reflect on my practice and consider next steps. Sometimes the post might end up leaving me with more questions than answers—and this is fine. What I’ve learnt is that there is no right or wrong way to write a blog. Sometimes I feel like my blog posts come together nicely, and are worded well. Other times they feel like a jumble of random thoughts. All is okay. I think that if I try writing for others, my blog will be less successful and useful to myself and my practice. As educators we are morally obliged to share our practice for the good of all students. Blogging gives me a way to share my practice, thoughts and questions with the ultimate goal to question and/or improve my practice (and perhaps that of others) to benefit our students. The other part of blogging for me is the reading of other educator’s blogs. I have learnt so much and continue to do so. I’m often challenged by what I read, making me think further and sometimes another blog post comes from this also.